In this special event hosted by the Bartlett School of Architecture/UCL, the inaugural Rogelio Salmona Fellow, Freya Cobbin, will present the outcomes of her research following a 6-week trip to Colombia in 2017. Freya will explore the legacy of the renowned Colombian architect and what his work means for the public today. The event will include an informal Q&A and details of this year's open call will also be provided. How do the public spaces and buildings designed by Rogelio Salmona reveal the stories of their ordinary inhabitants and users? How is contemporary Colombian society responding to Salmona’s built legacy in the present? And what activities and interactions do his innovations foster for the communities that have a relationship with his buildings and spaces? The talk will consider these key themes and will be an introduction to an architect that is still relatively unknown in the UK, despite his great legacy and relevance, particularly in Latin America. 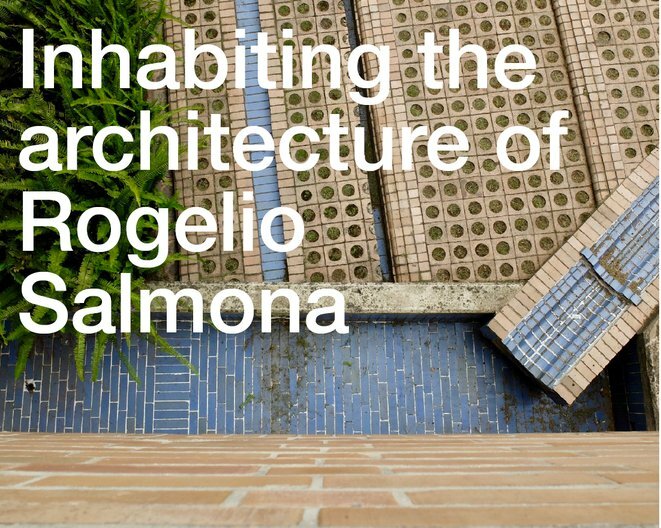 The fellowship programme running between 2017 and 2019 sets out to explore the legacy and contribution of Rogelio Salmona to architecture, culture, Colombian society and the Latin American region whilst fostering long-term links between the UK and Colombia. The fellowship is organised by the British Council and coordinated by Más Arte Más Acción, in partnership with the Rogelio Salmona Foundation, the Museum of Modern Art Bogotá (MAMBO) and the Rogelio Salmona University Cultural Centre of the University of Caldas. The open call for the 2018 Fellowship is live until 9 April. To find out more and to apply, visit the ADF blog.